This web page provides information and forms related to the Indiana Department of Education’s (IDOE’s) responsibilities for the implementation of Indiana Code 20-26-7-1. Charter School Intent to Claim Form – Pursuant to IC 20-26-7-1(h), a charter school may either lease or purchase a building that is designated as “Available” on the IDOE’s unused buildings list. This form is to be completed by any charter school that intends to lease or purchase an available unused building posted on the IDOE’s list for classroom instruction. Unused Building Waiver Request Form – Pursuant to IC 20-26-7-1(k), a governing body of a school corporation may request that the IDOE grant a waiver from the requirements of IC 20-26-7-1(e). This form is to be completed by any school corporation that wishes to request a waiver that removes an unused building that has been reported as “available” from the IDOE’s list. 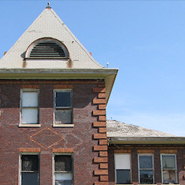 Reclamation Intent Form – Pursuant to IC 20-26-7-1(g), a governing body of a school corporation may reclaim a building that has been placed on the IDOE’s unused buildings list. This form is to be completed by a school corporation that intends to reclaim a building that has been reported as unused. All forms submissions, requests for further information and questions related to unused school buildings can be sent to unusedbuildings@doe.in.gov.